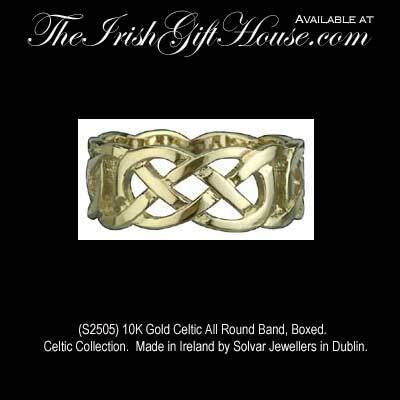 Solvar Irish Jewelry Mens 10K Yellow Gold Celtic Knot Band. 1/4" Wide Band with a Continuous Celtic Knot Design. Made in Ireland by Solvar Irish Jewelry in Dublin.